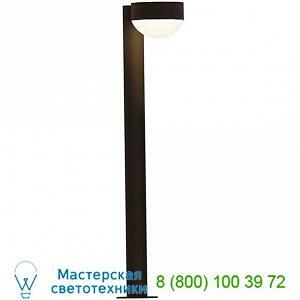 Предлагаем вам купить SONNEMAN Lighting OB-7305. PC. DL.72-WL Reals LED Bollard - Plate Cap (Textured Bronze/28 Inch/Frosted Dome Lens) - OPEN BOX RETURN, опенбокс по самой низкой цене - ждем ваш запрос для просчета размера скидки. Features:-Design In: 2017-Manufactured In: ChinaRatings:-Location Rating: ETL Listed WetSpecifications:-Aluminum / UV-Stabilized PolycarbonateLighting:-10 Watt (1040 Lumens) 120 Volt Integrated LED: CRI: 90 Color Temp: 3000KDimensions:-28 Inch Fixture: W 5 in, H 28 in, D 7.75 in -28 Inch Shade: H 1.75 in, Dia 5 in.